Bowen Island, BC, 2017 August 4-6, 2017 Location: TBA please contact Helen Session 1: Friday 7:30 pm Session 2: Saturday 9:15 am Session 3: Saturday 4:00 pm Session 4: Sunday 9:30 am Session 5: Sunday 4:00 pm Attendance for the complete transmission is recommended. Monday 7th: 9:30 am — Reading Transmission of Drikung Rinchen Phuntsok’s Vajrasattva meditation from the Yangzab Dzogchen cycle. Dzogchen — Great Completion — has a training called Trekchö or “thoroughly cutting through’. Trekchö, is a form of natural and effortless Penetrative Insight. It requires a unification of wisdom and compassion and a profound understanding of the inseparability of the view, meditation and conduct as taught in the Dzogchen traditions. 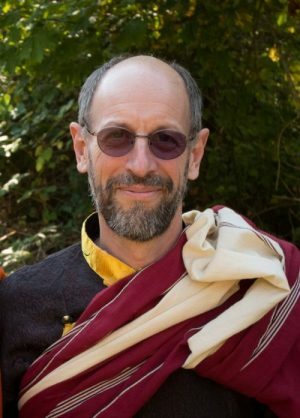 Lama Mark will be teaching from the text called the Three Statements that Strike the Vital Point, also called The Words of Garab Dorje, Patrül Rinpoche’s root text and auto-commentary, Lho Ontül Rinpoche’s recent teachings and meditation instructions and Ven. Namgyal Rinpoche’s teachings on this profound approach to full awakeness and compassion. Costs: By donation for the Lama’s teaching and generosity. Plus a donation to cover expenses (travel, food, and expenses for Lama Mark, we suggest a donation of $15 to $40 a day). No one will be turned away for lack of funds.